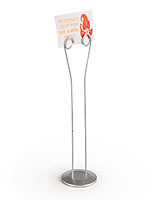 This memo display, sign holder is ideal to be used on any desktop or checkout counter. 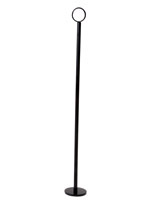 The tall slim design takes up very little space yet makes a huge impact on viewers when placed strategically. 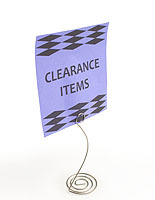 This sign holder, also known as a memo clip, is fabricated from durable wire with a black finish. The coiled base coordinates with the top of the unit for a uniform look. 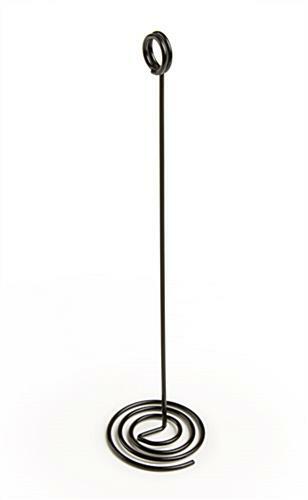 The black coloring of this sign holder allows it to easily blend in with any setting. 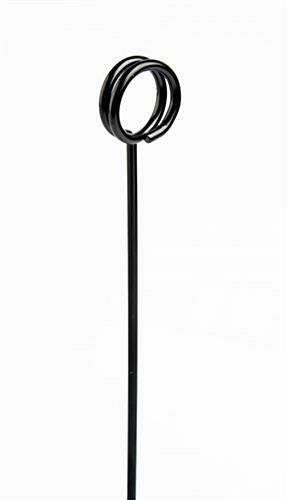 Each stand is made from one solid piece of heavy duty wire. 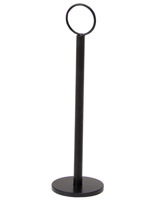 With a simple and elegant spiral shape, this sign holder can be used for business or personal purposes. 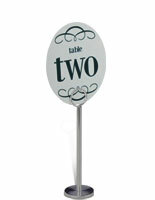 This place card stand is often found in places like restaurants, hotels, retailers and offices. 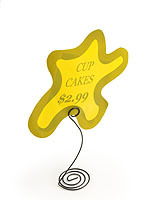 The sign holder, such as a memo clip or card display, is a great promotional advertising tool. For frequent or daily message changes, this memo clip is ideal. 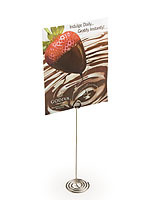 This card display, sign holder is versatile and easy to use. Simply slide memos, notes and other signage into the coil. 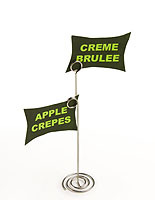 We sell this sign holder in an assortment of other designs and colors as well. 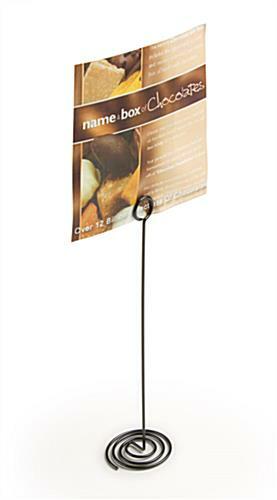 Place this tabletop advertising display in a restaurant to promote menu specials. 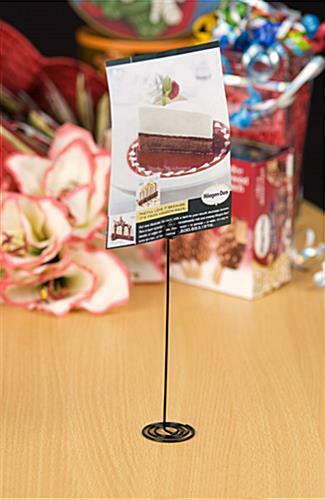 Change the way you present your menu cards today with this sign holder. These are very nice looking, but are very wobbly and do not stand upright very well. Cannot hold anything larger than a business card. Hi Rob, We're sorry to hear you're not totally satisfied with your order. One of our customer care specialists will reach out to assist. Thank you! Hello, I would like to update my review to 5 star due to the high customer service level from D2G. They were incredibly prompt in making sure I was satisfied. Even though the product did not suit my needs, D2G customer service is outstanding! Posted one year ago by Robin M.